The lenders’ consortium, led by State Bank of India, is actively considering a proposal to infuse Rs 1,000 crore into Jet Airways immediately to keep it afloat, despite a lack of consensus among banks on emergency funding. The money is expected to be disbursed after the Jet management submits an operational plan on how it intends to use the money till May 7. Clearly trying to fast-track the resolution process after the intervention of the Prime Minister’s Office (PMO), lenders have asked the airline management to give a plan by Monday (April 15), outlining the operational requirements. The earlier banks-led resolution plan announced on March 25 included disbursing Rs 1,500 crore through long-term debt instrument. But only 5 per cent of it was disbursed in small tranches, putting the survival of the airline in question. The revised plan to infuse Rs 1,000 crore comes after a meeting of civil aviation secretary Pradeep Singh Kharola and top officials in the PMO Friday evening. The high-level meetings were prompted by a warning signal from the Jet management that the airline was left with funds to survive only till April 15. Jet is currently flying seven planes out of its original fleet of 120. It has repeatedly defaulted on payment to aircraft leasing firms, oil companies, vendors due to a severe cash crunch and a piling debt of over Rs 8,500 crore. Earlier, this week, the airline suspended all its international flights, while its employees organised a protest march for non-payment of salaries. The lenders expect that by May 7, the process of selection of bidders will be completed and clarity will emerge on the future of the airline. The SBI-led consortium had called for expression of interest to buy a controlling stake (51-75 per cent) in Jet Airways. April 30 is the last date for submission of binding bids. Abu Dhabi-based Etihad Airways, which currently owns 24 per cent stake in the airline; private equity fund TPG Capital; government-owned sovereign fund National Investment and Infrastructure Fund (NIIF) and ousted chairman Naresh Goyal are among those to have formally submitted EoIs. Etihad is the only airline, making it the sole strategic player to express interest. “By May 7, it would be clear if the airline has found a credible investor ready to pump in money. So the current plan of supporting the airline is till that time,’’ a senior executive of a public sector bank said. Emergency fund, which is known as priority funding in banking parlance, involves extending credit to sick companies to keep them as going concern until a new investor or a restructuring plan is finalised. Banks enjoy higher security on this credit as they are given priority during the payout phase, once the turnaround is effected or the company is liquidated. 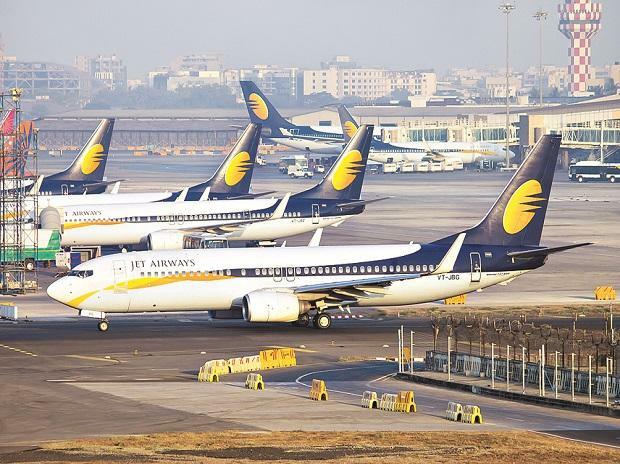 However, for Jet Airways, the lenders’ consortium has been unable to come to a consensus on whether such a funding should be given to the airline. Promoter Naresh Goyal has pledged 41 per cent of his shares to the lenders which was a pre-condition to release the funds. “The lenders’ consortium met thrice on the subject but has been unable to finalise a decision,” the executive said. Apart from SBI, which is the lead member of the consortium, Punjab National Bank (PNB) has significant exposure to the airline followed by Indian Overseas Bank, Syndicate Bank, ICICI Bank, Canara Bank and Yes Bank. PNB Chairman Sunil Mehta on Friday had said the Jet resolution was being done under the Inter Creditors Agreement (ICA) framework for which approval of lenders with 66 per cent share of exposure in aggregate is enough to pass a decision. Once resolution plan is approved by majority lenders, it will be binding on all lenders that are party to ICA. “Jet Airways could be the first case to be resolved under the ICA framework,” Mehta said. Meanwhile, airline officials have confirmed that the Jet management is framing a plan which will be submitted to the lenders on Monday, adding that any delay would ground the airline. According to the plan, the airline intends to operate with 26 aircraft. “The major head of expenditure will be partial payment of salary, lease rentals to get some planes up in the air and restart the routes and payment to oil marketing companies. But the infusion should be swift. Till now we have submitted plans to the lenders but money was not released,” an airline executive said.